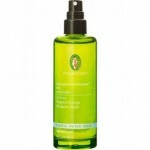 Gentle 2in1 cleansing for delicate skin and hair - especially developed for and with children. 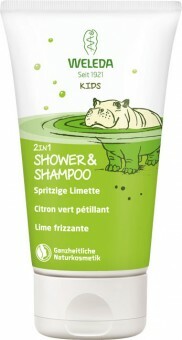 For sweet and creamy washing fun from nature, 100% natural origin. As turbulent as family life may be, one thing is for sure: their little treasure continues to evolve day after day and conquer the world through their own experiences. Even if your child becomes a bit more self-sufficient every day, children's skin still needs special care - because the skin is still thinner than the adult skin and has not fully developed its functional capacity yet. Weleda Naturkosmetik is therefore the ideal choice for delicate children's skin, as it is particularly gentle and at the same time mild to the eyes. Nourishing ingredients, especially mild sugar soaps and child-friendly fragrances in an animal packaging - in the usual high Weleda quality. So you can bring your child to your own nursing routine. Application: Apply a few splashes on the skin and hair, gently massage and rinse with water. Feel the smell and smoothness of the skin and hair. 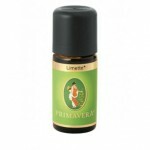 -A playful, sweet fragrance experience with precious vanilla and fruity notes of the tangerine. The delicate aroma conveys warmth and security.